Our hand painted white porcelain Christmas plate is a unique personalized Christmas gift. On the front of the plate is a holiday Christmas tree scene along with the family name. We can write a holiday messge across the bottom such as, "Peace, Joy, Love" or "Merry Christmas." On the back of our Christmas tree plate we hand paint a short personal message. For example, "Lots of love this holiday season. Love, The Smith Family." 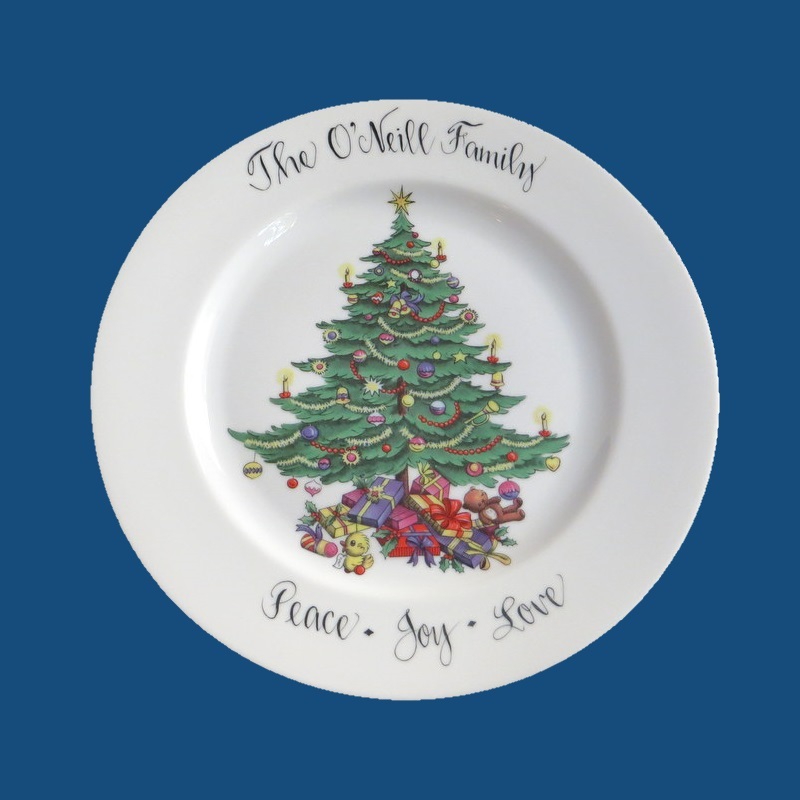 Our personalized Christmas plate is a wonderful holiday gift and will be a special keepsake to use every Christmas. A gift box with tulle ribbon and enclosure card is complimentary with your purchase.